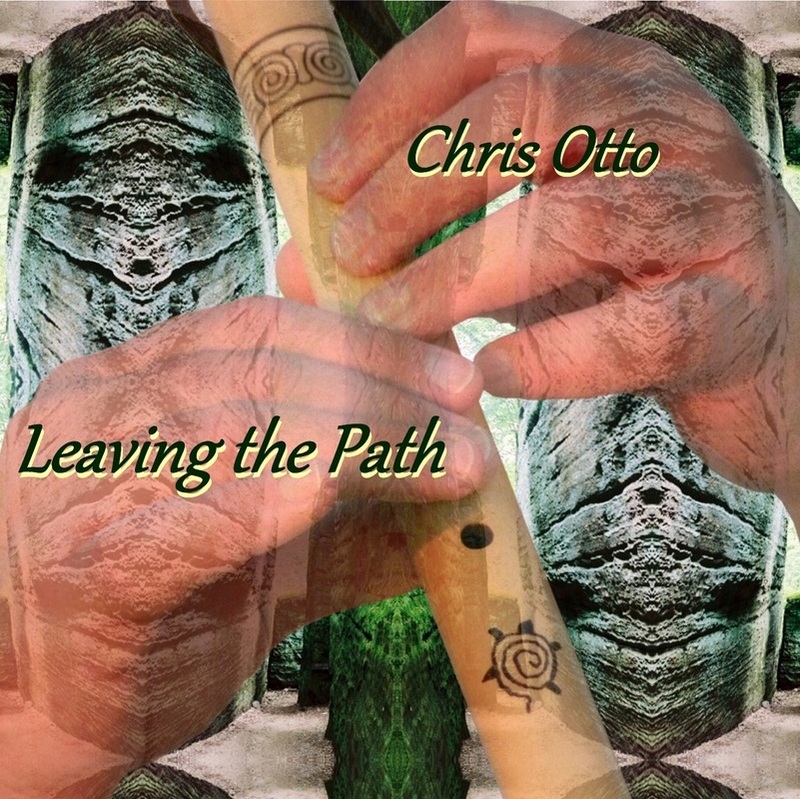 Chris Otto combines Native American flute music with folk traditions from around the world, creating a unique blend of styles. Music that can be mellow or upbeat, and often is experimental. Chris wants to be clear that he is not of Native American heritage, but the Native American flute is the instrument that speaks to him, and speaks for him. Recently Chris has begun to explore stringed instruments, specifically the ukulele and mandolin, and songwriting as well. I'm happy to announce that one of my new songs, "Only for a Day", was featured on Songday Afternoon, a weekly podcast on Facebook that features songwriters from the St. Louis area. Songday Afternoon is produced by Tommy Holloran and Wil Wander. Here is the link. Songday/Only.. I have been quiet for the past year or so, not doing a lot of shows, and some may be wondering why. My musical journey has taken an unexpected turn. A couple years ago I was helping my in laws clean up their basement, when we came across an acoustic guitar. After an unsuccessful attempt to figure out who's guitar it was,they gave it to me. When I was much younger, I had tried and failed to learn guitar, but was eager to give it another chance. While I made some progress on the guitar, it never quite took. In the meantime my father had given me my grandfather's mandolin. Unfortunately grandfather's mandolin is not in working order, so my friend Paul MacFarlane lent me one of his. The mandolin made more sense to me, although there were things about it that I found lacking. After much research I decided to buy a tenor ukulele, and tune it in (almost) mandolin tuning. The result was an instrument that had the scale of a mandolin, with the dynamics of nylon strings. i had found a new voice. 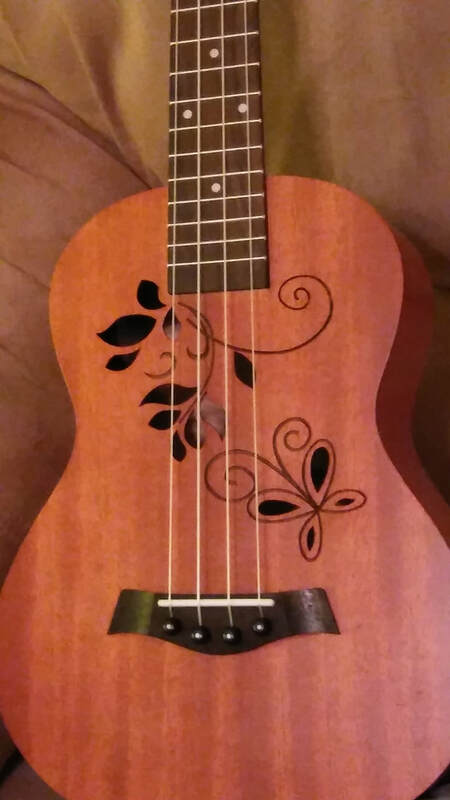 I now have three ukuleles, one tenor in drop E mandolin tuning, (tuned like a mandolin, but with the e string one octave lower), one tenor in traditional ukulele tuning, and a baritone ukulele that I have in octave mandolin tuning. i also have a vintage bowl back mandolin. With these instruments I am exploring the art of songwriting. My original intent was to write music to accompany my flute playing, and some pieces have been written for that purpose. But songwriting has taken center stage in my creative endeavors, at least for now. I have done some songwriting for years, with my celtic folk rock band Rusty Nail, and more recently in Aimless Thieves. In those cases I would come up with lyrics and a vocal melody, and present them to the band, along with a general idea of what the song should sound like. Unable to articulate chord structures, the results were not always what I had envisioned, despite my band mates best efforts. Now I have the freedom to shape the songs in a way I could not before. This has unleashed a flood of creativity, as songs are coming one after another. There has been a lot going on in my life as well, the kind of changes that often produce creative output in an artist. I don't know where these songs will end up at this point, some would fit in Rusty Nail, some would fit Aimless Thieves, but for many others, I don't know where they belong. As part of my solo act, or some future project? That will be decided by the future. A small taste of what I'm working in can be seen in this video and this one. New CD, "Leaving the Path"
"Leaving the Path" represents a departure from the traditional, new age style of play that was featured on my first CD, "Rain on Broken Glass". The new record is more upbeat, more energetic and experimental. I've embraced the more diverse world music aspect of my music, with world percussion, kalimba and other instruments backing up the flute. I hope you envoy this new path that I am on. Leaving the Path is now available on line at CD Baby, Amazon, and ITunes. This is not to say that I am giving up the flute, either in live performance or recording. It just means that I am exploring something new, and I must follow this exploration and find out where it leads. If this is a left turn, or a right turn (even a wrong turn? ), only time will tell. I'm happy to announce a new collaboration with multi-instrumentalist Paul MacFarlane. Paul plays guitar, world percussion, keyboards, the Turkish saz and other instruments. We share an appreciation for world music and progressive rock, and working with Paul is allowing me to explore a whole new side of my music. Paul and I started playing music a few months ago with no expectation of "developing an act", but we soon both realized there was a musical chemistry that needed to be explored. We have started to do shows together and things are developing nicely. We have no idea where this collaboration will lead, but I will keep you posted. Here are some examples of what we are cooking up: Chris on NAF, Paul on Saz , an improv with Chris on NAF and Paul on guitar , an experimental improv . CD Finally done, Indigogo fundraising coming soon! So, it took longer than I anticipated, (Ok, much longer), but the new CD is done. The recording is done. The mixing and mastering is done. "Leaving the Path" is one big step away from being a reality. That step involves raising the money to get the CD pressed. I will soon be launching a crowd funding campaign on Indigogo to raise money to have the CD made so I can share it with fans and friend. If all goes well, the Cd will be out in April. Thank you for your patience. I've been busy this winter working on a new cd. The cd will be titled "Leaving the Path", and will build on the theme of fusing different folk traditions from around the world. "Leaving the Path" will be more upbeat and experimental than my first cd, "Rain on Broken Glass", with a lot more percussion and other accompaniment, including some guest appearances from some fine St.Louis musicians. As I was fine tuning the songs for this cd, I was revisiting some of the progressive rock and jazz rock fusion that I listened to in my youth. I was struck by the musicianship and willingness to experiment in this music from the 1970's, something I often find lacking in today's music. It inspired me to make the music on this cd a little more interesting, be willing to experiment, and to be a better musician. I think the result is a recording that is energetic and inventive, and hopefully, an enjoyable listening experience. The hope is for the cd to be released this summer. Stay tuned.